Marble. Just to think of the millions of years, unimaginable pressures and heat involved in the creation of these beautiful rocks. This hard, semi-precious surface which bears a unique ngerprint has trans xed architects, sculptors and designers for over a millennia, and for us too this is the dream material – tough yet tactile, heavy and long-lasting with individual and unique personality. 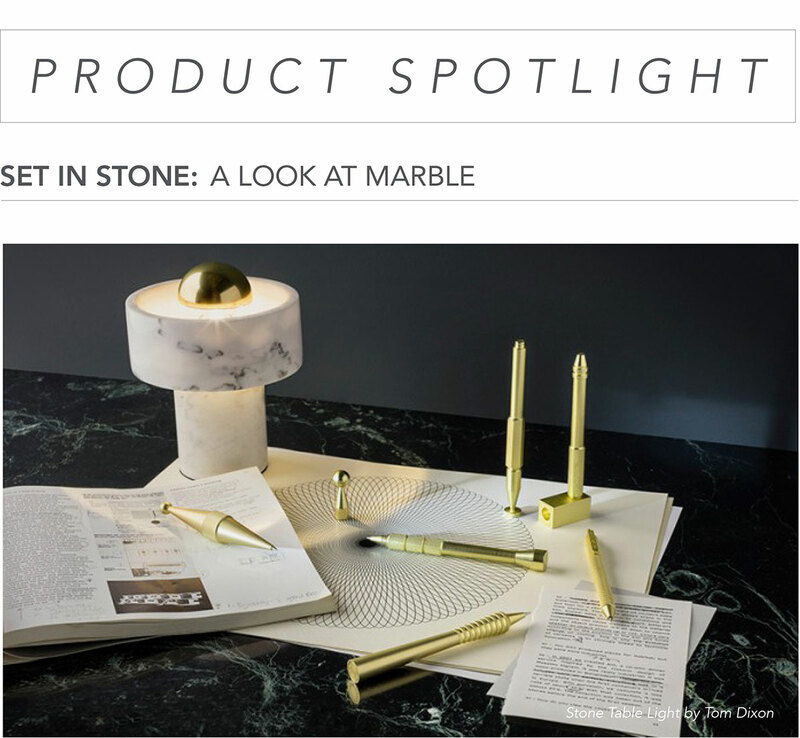 Take Tom Dixon’s Stone lighting: hollowed and carved from white semi-precious marble, the Stone’s ringed shade has a semi-translucent nish that accentuates its unique veined pattern. 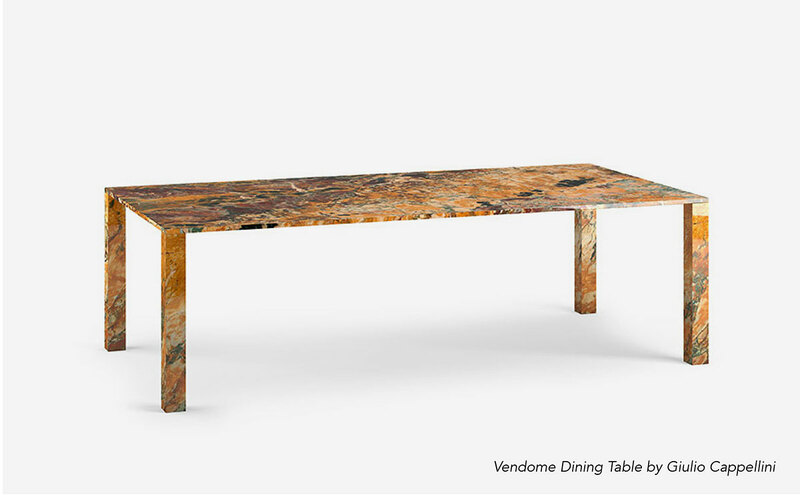 The stunning Vendome table designed by Giulio Cappellini made from Breche’de Vendôme marble by Antolini gives life to a series of dining tables or writing desks available with a square or rectangular top. 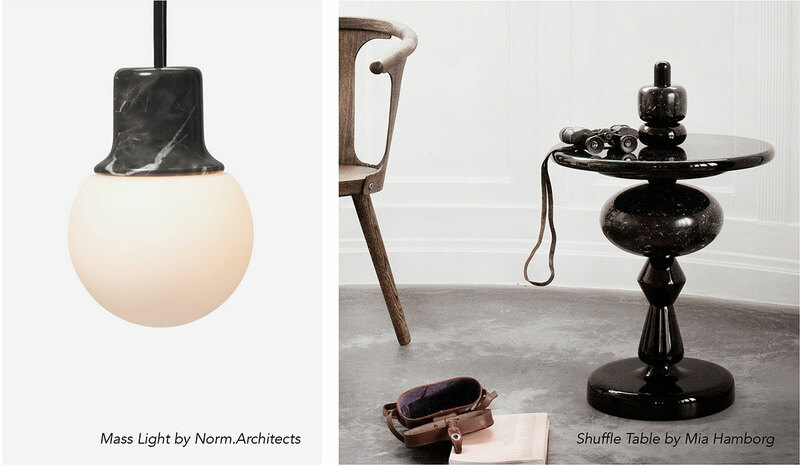 Danish studio, &Tradition’s Mass pendant light integrates solid marble into their design for a lamp gives an exceptional sense of quality and durability. 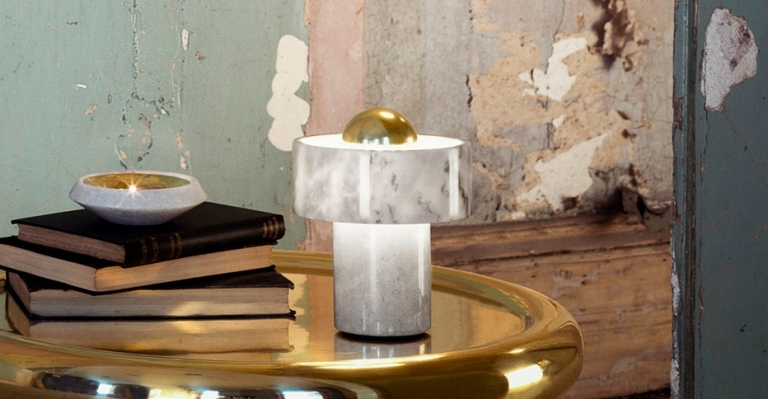 Their Shuf e side table is made from lacquered MDF and black marquina marble. With several different shapes effortlessly combining, the table is sure to stand out in any space. 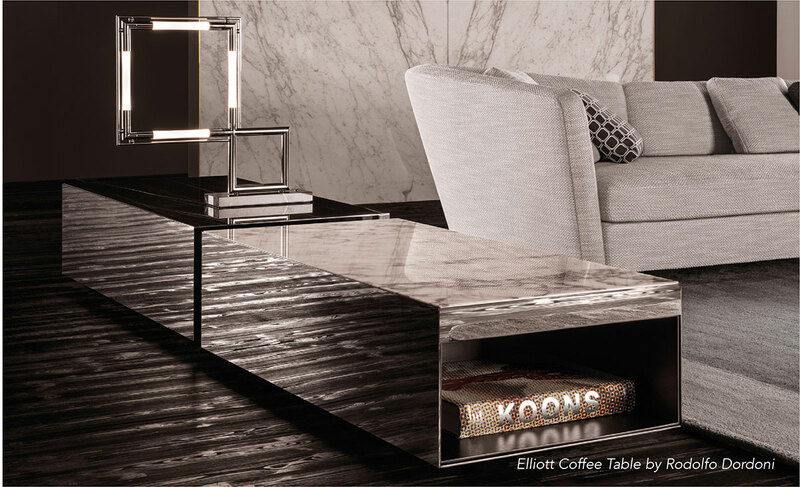 The Elliott tables for Minotti are sophisticated collection of jewel-like side and coffee tables which have a pure, organic aesthetic with a surprisingly varied combination of materials. The metal frame comes in a glossy chrome, glossy gold or satin bronze finish. The top has been set in the frame like a gemstone in a piece of jewelry with a selection of rare and precious marbles. For more information about Arkitektura products email us at sales@arksf.com or give us a call 415.565.7200.